This global survey from Irdeto and analyst firm SNL Kagan reveals that pay TV operators and content producers believe that one of the key drivers for the implementation of 4K UHD is the expectation that consumers will pay 10-30% more for premium content. The results also confirm the belief that the adoption of 4K UHD content will be primarily driven by early release movies and live sports. 51% of respondents say that 4K TVs/Connected TVs will be the primary devices driving the adoption. The survey results, which covered 475 video service providers and content producers, found that 88% plan to launch 4K UHD content by 2020, with 78% saying they will have launched content even earlier than that by 2018 in anticipation of some impressive early adoption rates by consumers. That’s 370 different broadcasters and other content providers with a 4K service in the next two years. There is some interesting detail in the report too, notably some regional differences of opinion regarding the speed of 4K adoption. 46% and 36% of respondents respectively in the Asia-Pacific and EMEA markets think that the mass market would be reached in 2017-2018, a figure that slumps down to 25% in the Americas. As usual with new technology and television, live sport is considered to be the primary driver amongst viewers, followed closely by movies. And, partly as a result of that, the broadcasters are also betting on a premium being charged to help pay for setting up the new services: anything between 10-30%. We would like to say that won’t last long but then we noticed that we’re still paying a HD premium on some services, so that might be something we’re all stuck with for few years. ‘A Clearer Picture of Growth: 2016 Global 4K Industry Survey’ provides a wealth of valuable information for anyone planning to launch 4K UHD services and/or content. When are pay TV operators worldwide expecting to launch 4K UHD services? What are their business drivers? Which devices will drive the most consumption of 4K UHD content? 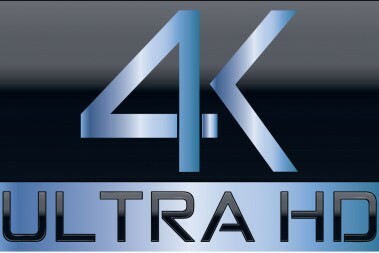 What are the risks when rolling out 4K UHD services? Interested in reading the full report, you will have to fill out a form to download the PDF file.